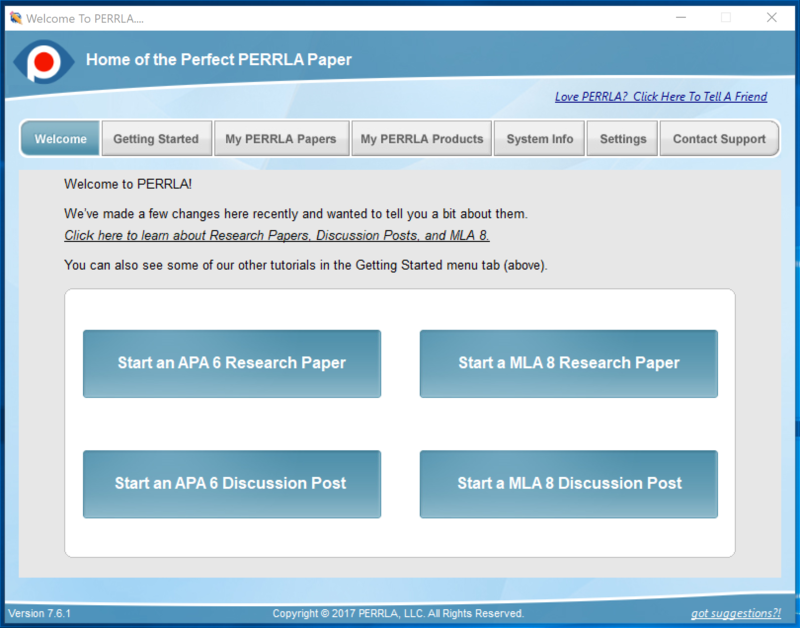 We’re in the process of updating how you write papers in PERRLA Online. 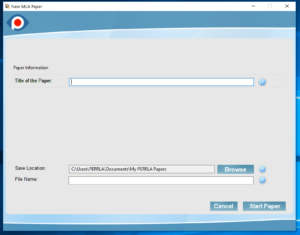 We’ve learned a lot since we first released the Paper Editor in PERRLA Online (then PERRLA Complete) and we are hard at work making those ideas come alive. We’ve killed the Paper Details tab and merged it straight into your Overview tab. 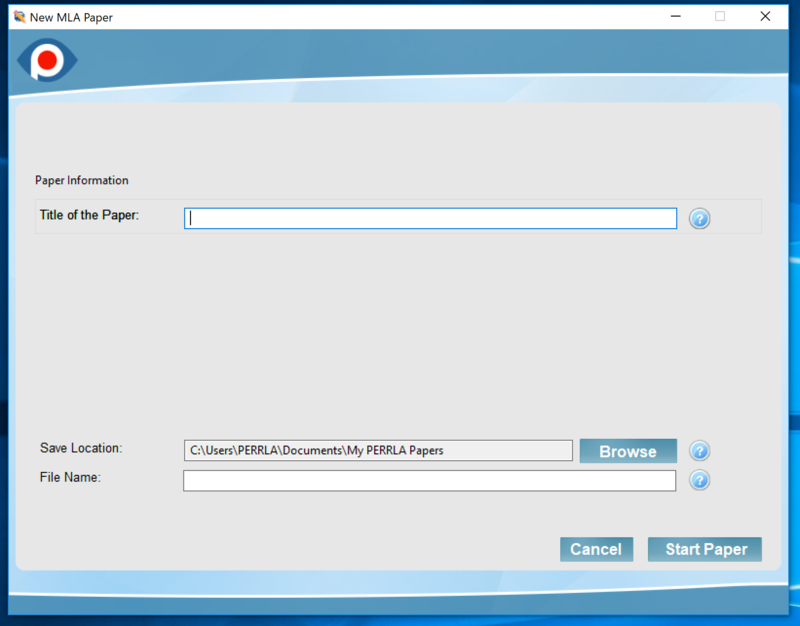 Now you can see all of your Paper’s Details and edit them in one place. 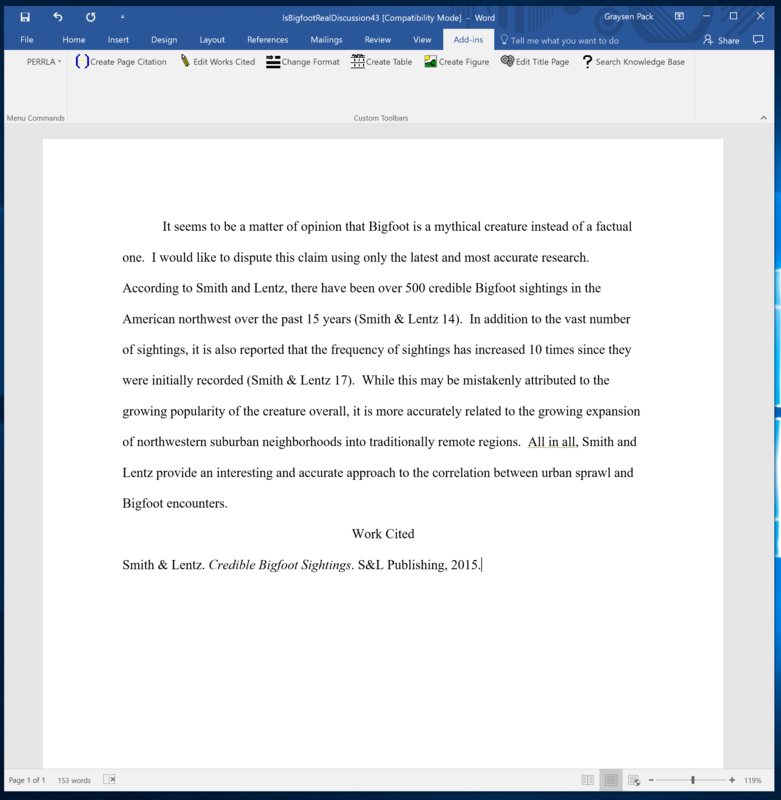 To edit your Paper’s details, just click the “Edit Details” button in the bottom right. Pretty straight forward, right? In preparation for some of the really amazing features we have planned, we’ve updated the Outline tab to make it more usable. First, the Outline now autosaves all of your work! No more toggling between the Edit and Print views of your Outline. Hooray! We’ve also moved to a card-based layout. That means that your Outline will always look similar to how it did in Edit mode before. You can click on any of the cards in your Outline to edit them, or click and drag them to re-arrange them. 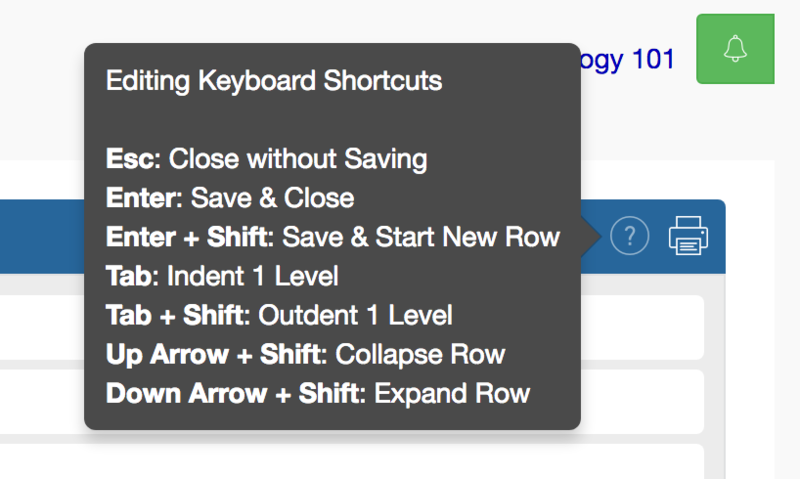 We’ve also updated the keyboard shortcuts to make it easier to manage any changes you make. Now, pressing Escape while editing will close the Outline card without saving your changes. It’s like a Cancel button. Enter will save the changes you’ve made, and Enter + Shift will save the changes and start a new row beneath your current one. In addition to the Keyboard shortcuts, we’ve also added the ability to expand and collapse your Outline items. So if you’ve got an Outline that is a heroic epic in itself, you can collapse it into only the most essential pieces. Lastly, we’ve done away with Outline Notes. Although they were an interesting idea, they just didn’t work out in the real world. If you’ve made any Outline Notes, don’t panic. 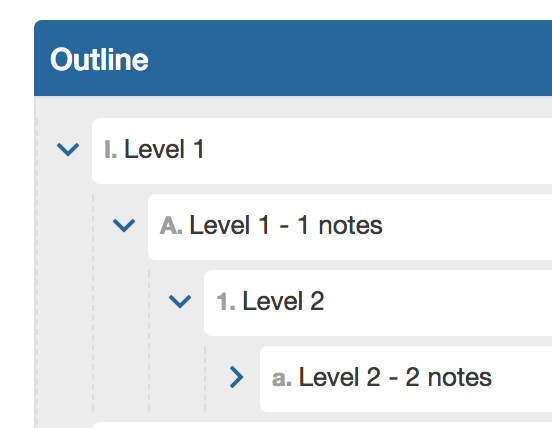 We’ve converted your existing Notes into text for that Outline Card. So all of your Notes are still there waiting to be used. 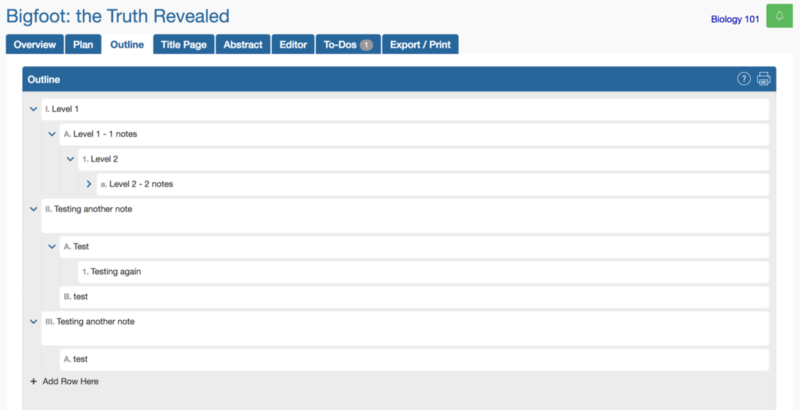 Our final changes for this update are mostly aesthetic on the References & Citations tab inside the Editor. We’re moving towards a more Card-based approach, similar to the Outline. We’ve also added some color to the icons beside each Reference and Citation when you hover over them. And, we’ve added an explicit row beneath each Reference to Add a New Citation. You can still use the Pencil icon if you’d like, but now there’s a place that makes it really obvious how to add a Citation to each Reference. If you have any comments or feedback, we’d love to hear it. You can email Graysen Pack (our User Experience Manager) with any of your thoughts at graysen@perrla.com.